The Borough Cup is excited to announce our Championship Game Dates for 2019! "We are so thankful for the Yankees, Mets, and Brooklyn Cyclones continued support," said Borough Cup Executive Director Ben Pinczweski regarding the announcement. "They make us a scheduling priority year after year, allowing us to develop this event into one of the premier youth sports tournaments in the country." Our championship festivities will begin on Tuesday August 20th with our U8-U12 games at MCU Park in Coney Island (Rain Date 8/21). 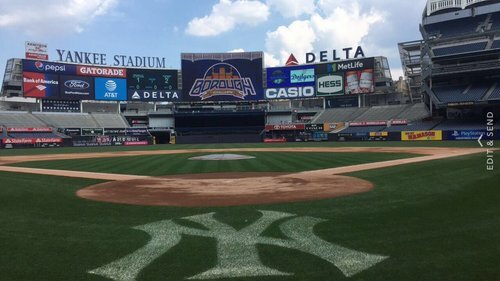 Then, we'll head to the Bronx on Thursday August 29th for our U14 and U16 finals at Yankee Stadium. Our Pool Play schedule this year will kick off Saturday July 13th. As always, this portion of the tournament is planned based on your squad's availability. Each team will have 3 weeks to complete their 3-game Pool Play Schedule, with the Top Teams in each age group advancing to the City Playoffs on August 3rd and 4th (Required). If you have any questions regarding the Borough Cup or would like to register for the 2019 Tournament, please contact us at info@boroughcup.com or 718-662-6539.